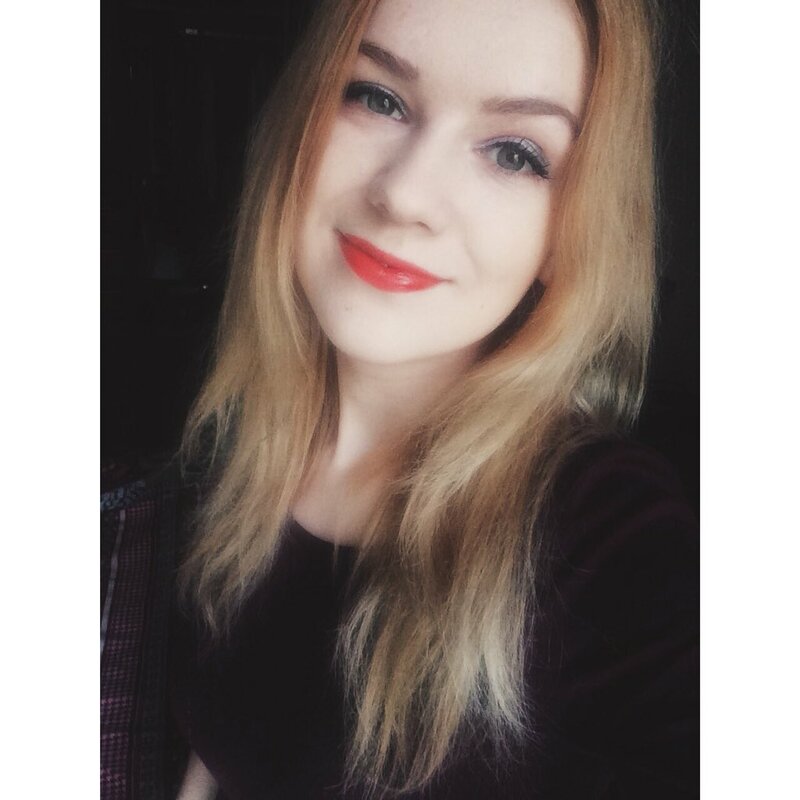 Some time ago I did a post about always loving your country where I mentioned small little things about my country I love very much. And there I mentioned our ethnographic signs and Honey said she would love to read more about our signs. 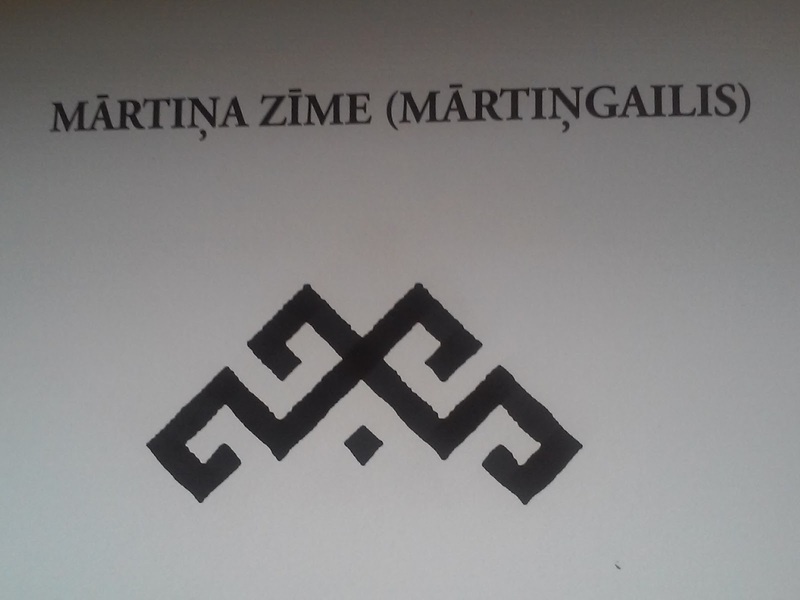 She inspired me and here I am with the posts where I will explain to you what are our ethnographic signs and what they mean. Latvian signs and articles formed more than 3000 ago and are important media. For those, who knew how to read the signs, was understandable all given information. Signs ancient Latvians used for family and their own enforcement - they were carved in the wood,carved into stone, jammed in garters and belts, and knitted in gloves and socks. Sign need to be in accordance and in conjunction with human morality and spirituality, only then it will be able to help you. 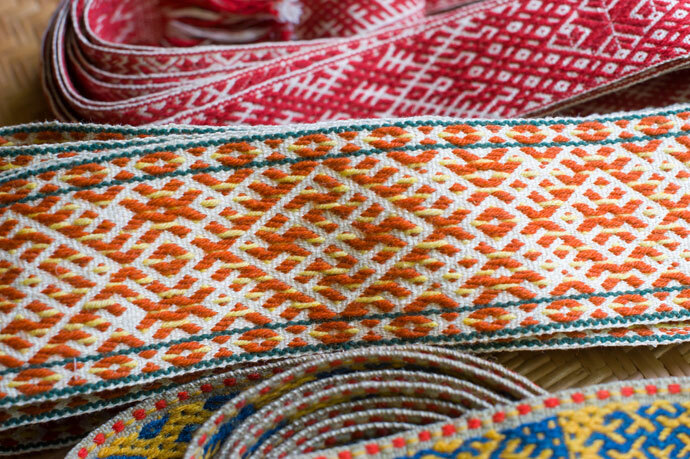 Not only in signs and articles ,but also in Latvian folk song are hidden mysterious sense, protection against bad and evil. Sign effect is related with a subconscious, every human thought and commitment with nature. 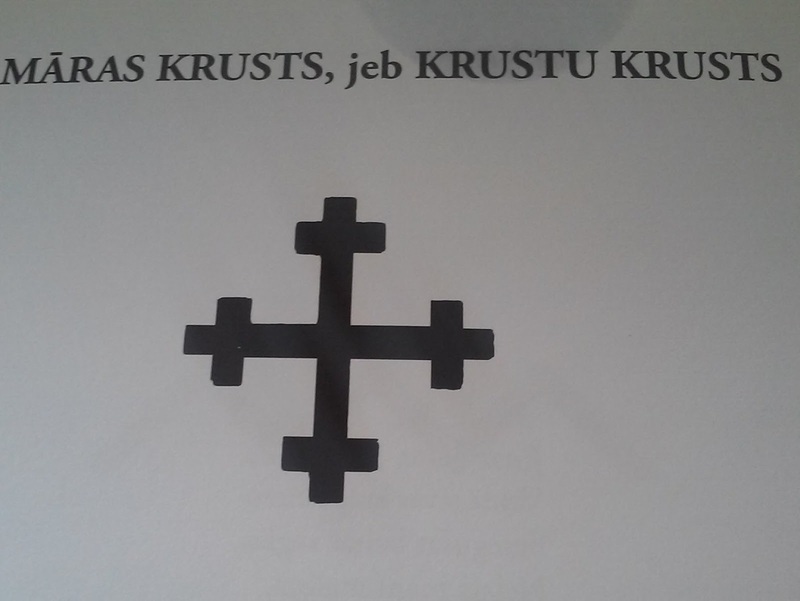 Please mind that all the information is taken from a book called - Latvju rakstu zīmes. And none of this information is my own. 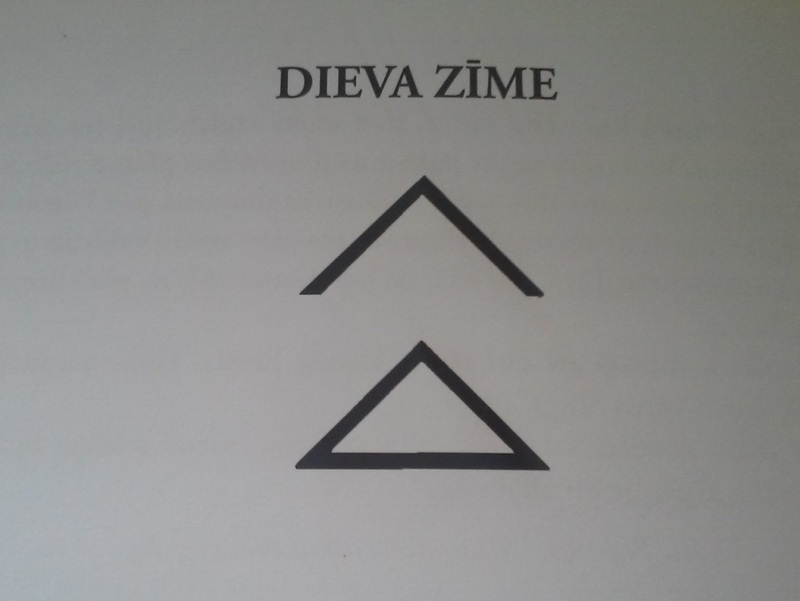 God's sign ( Dieva zīme) - Sign formed as a triangle or a skein with a steeple on top.The sign is a symbol for connection with the sky or the higher powers. Latvian folk songs encoded prayer god of healing energy and attract divine creative. 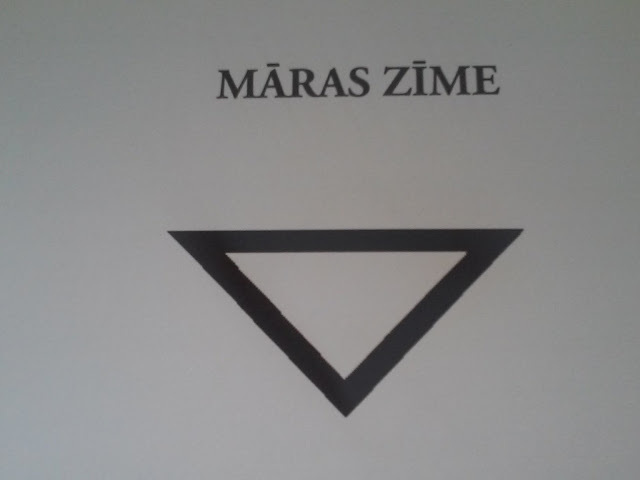 Mara sign ( Māras zīme) - Mara sing is equilateral triangle who reminds skein. It's the opposite of God's sign. There is a saying that if you combine these two sings together you can get double protection. In mythology, God is Words Father. Mara is Words Mother. In Latvian, beliefs Mara is woman guardian and fertility employer. 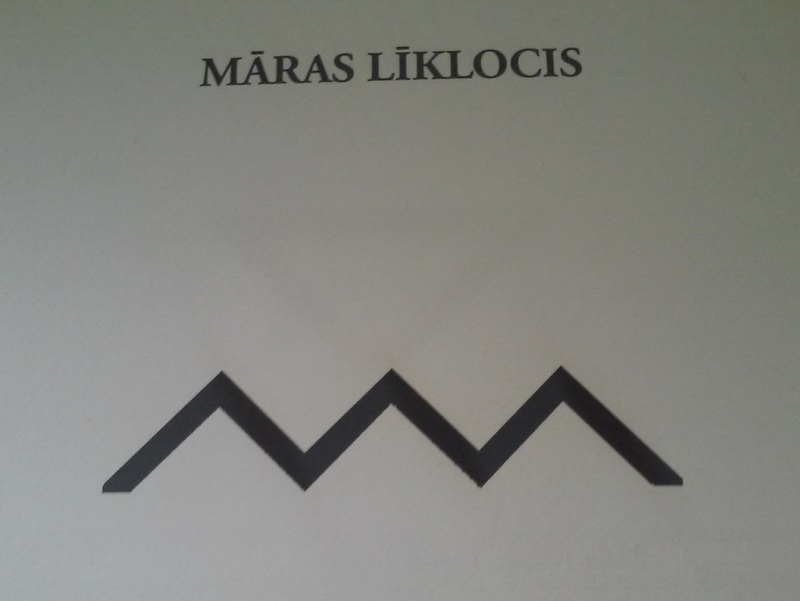 Mara twists ( Māras līklocis) - Symbolising sea mother and water mother. A symbol of life, water is life sustainer. 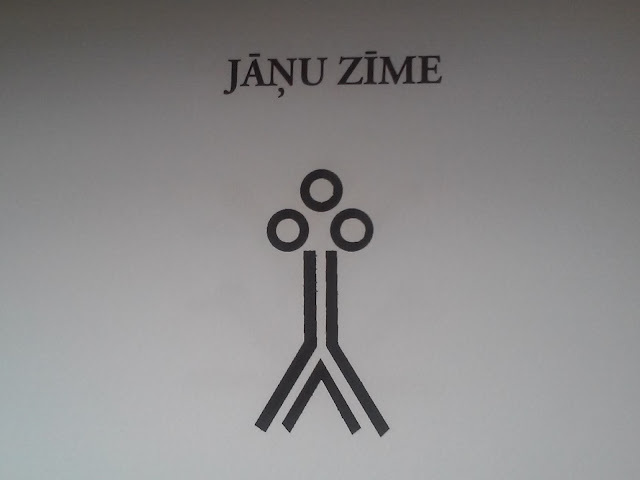 The sign is symbolic water depict not only for Latvians but also for other nations. Mara cross (Māras krusts jeb Krustu krusts) - Mara cross shows, that every thing in life have a beginning and the end. Strong defensive sign. With Mara cross was safeguarded material well-being - home and bread. Cross is a protective sign. It helps with baptism and weddings, gives fertility protects health. 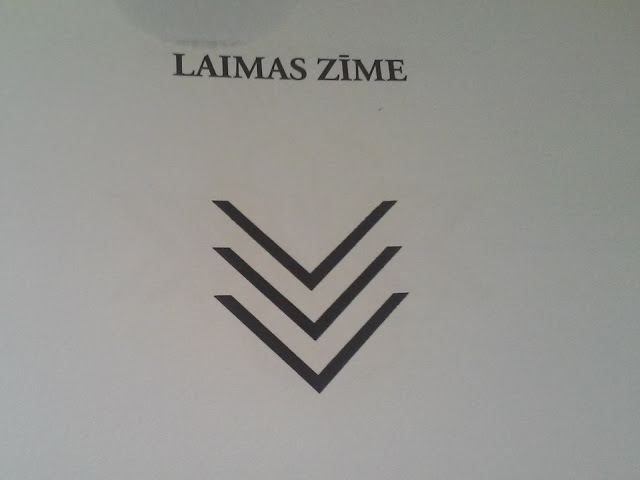 Laimas sign ( Laimas zīme) - Symbol for eternity and sweep. Honoring Laima and her articles in your wedding day, you can attract happiness and luck for your family life. Laima is the protectress for everything good, guardian and choose everyone's fate. 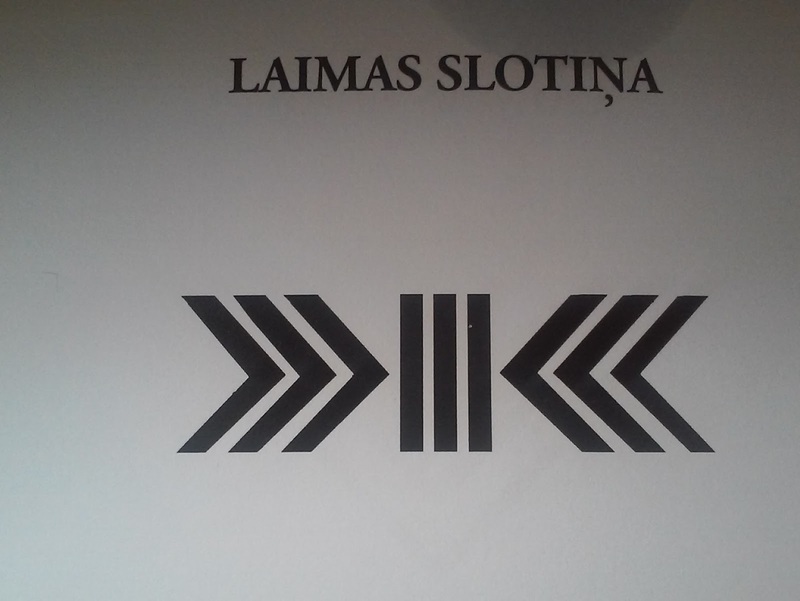 Laimas slotiņa (not an possible translation for this one) - Vertical stripes symbolise the beginning and the end. Something starts, but something ends. It's accepted that it sweeps away the bad energy.Laima is considered to be the guardian of the soul. 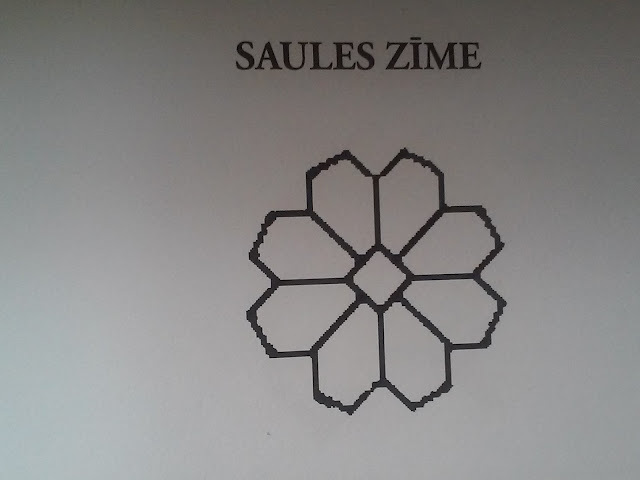 Sun sign (Saules zīme) - Eternal movement and life. Sun- she knows and sees everything because it's higher than any other sign. Sun is beginning of everything - it's warm, light and fertility.Helps farmers, considered to be the guardian of the harvest. Moon sign ( Mēness zīme) - Moon sign have a big role in farming. Moon promotes growth. The Moon is considered the guardian of the soldiers and the soldiers decorates their clothing and jewelry. 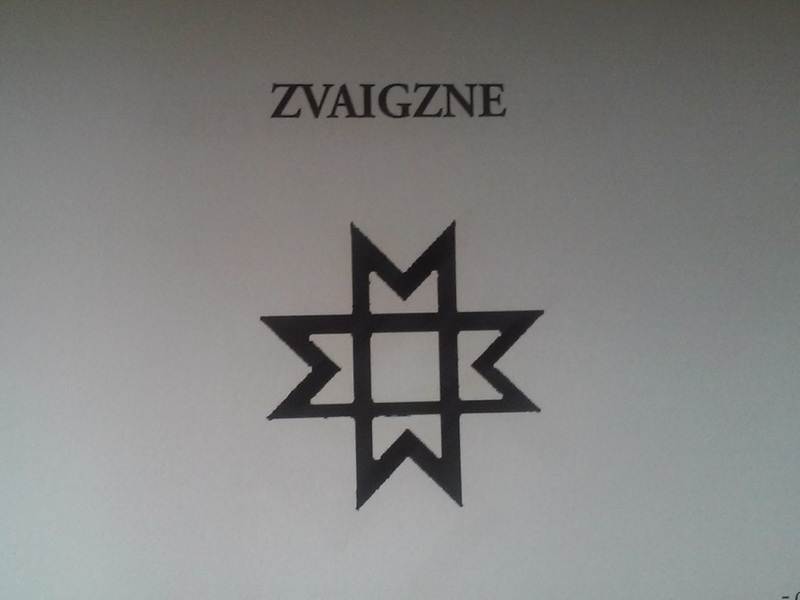 Star (Zvaigzne) - In Latvian ethnographic articels cross star have four, six or eight rays. It helps to repel darkness and ground forces.Protect from the evil and protects sleeping soul at night. 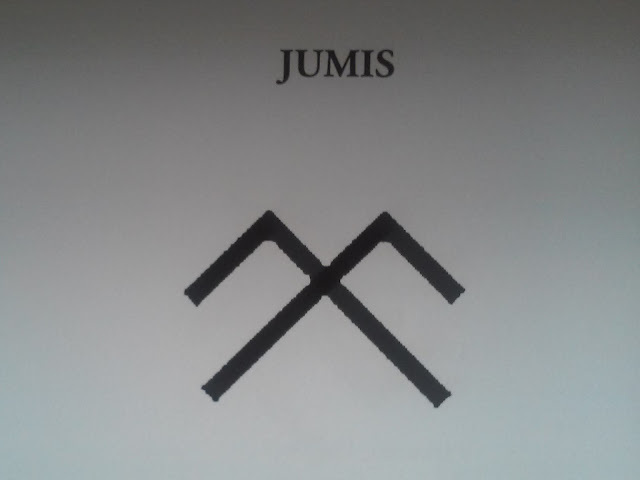 Jumis - Earth and her fertility sign.Jumis is an ancient fertility deity of corn. Often visible house rafter ends as it is believed that the sign brings the richness and harmony. Ūsiņš - Sign of life. Heavenly light deity. One of the strongest protection signs. It is considered that it removes radiation. It helps with gardening. Gives strength and protection for those suffering, heals diseases. 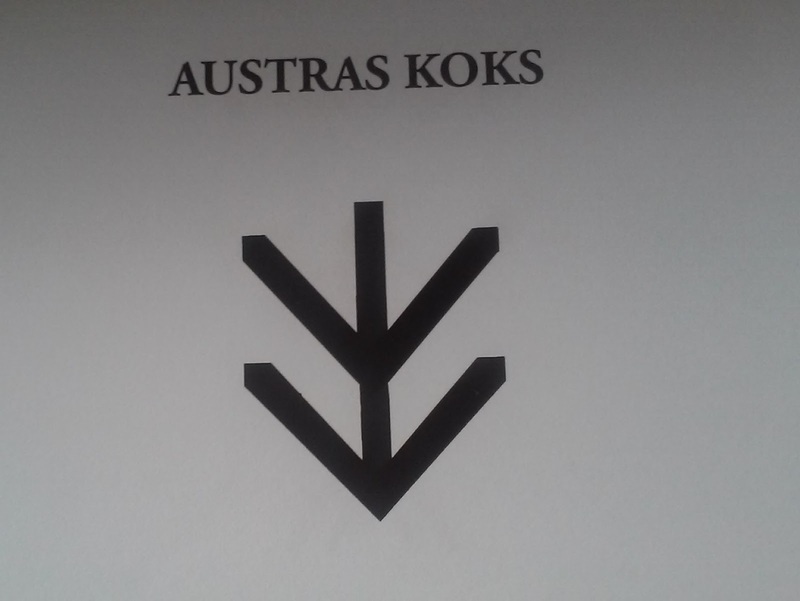 Austras koks - Symbol expressed in the human perception of the world - root of the tree symbolises the underground world ,trunk - mid-world environment in which we have combined with nature and animals,but leaf symbolises the upper world of heaven to which we all aspire.Austra tree is considered to be a strong female sign. Gives strength, at nights it recovers and accumulates energy, gives spiritual information. Jāņu sign - Jānis is considered to be the Son of God. Male power and female principle of combination.Blend symbol. Fertility strength. 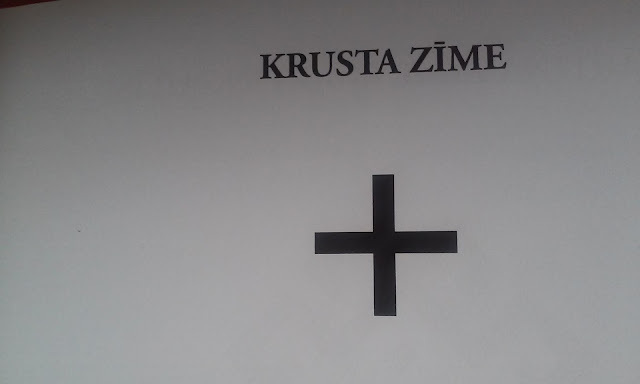 Cross sign ( Krusta zīme) - The oldest article element.Male and female connection. Magical protection mark.Mythology considered to be the guardian of the blessings and happiness. Mārtiņa sign ( Mārtiņa zīme) - Signs nature is based on the passage of time. It is known as a symbol of light and fire. Thunder ( Pērkons) - Energy sign. Repel misfortune and attracks happines. Repel unwanted natural phenomena, it acts as all the evil forces repelling. Takes care of the most vulnerable home human - kids sleep. That's why people curved this sign at crib deal. 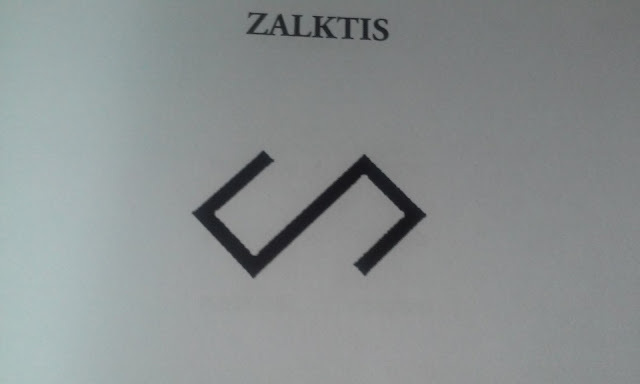 Zalktis - Grass snake is considered a sacred animal because he has access to his wisdom.Wisdom mark and the underground kingdom envoys symbol. 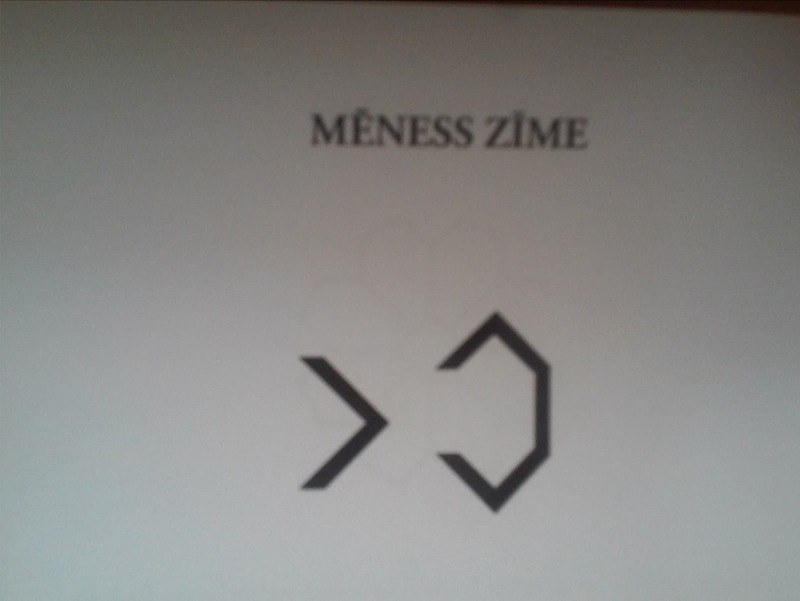 You can see this sign on woman clothing and also on bath things. These are all the sings. I hope you can understand a little bit how different these signs are and that it's not so easy to choose one for your tattoo, for example, you have to be sure that the sign is really for you. I'm sorry if it's hard to understand at some parts, I was translating this all from Latvian and it was really hard at some points. Also, sorry for the bad pictures. They are so horrible because I was taking them from a book haha. 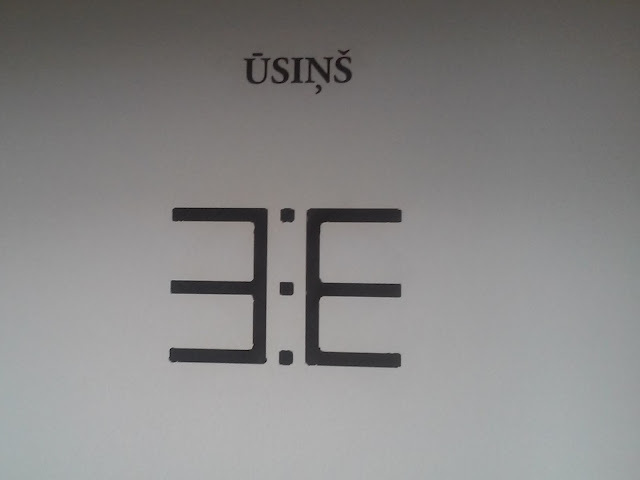 Anyway I hope you enjoyed another all Latvian post from me. 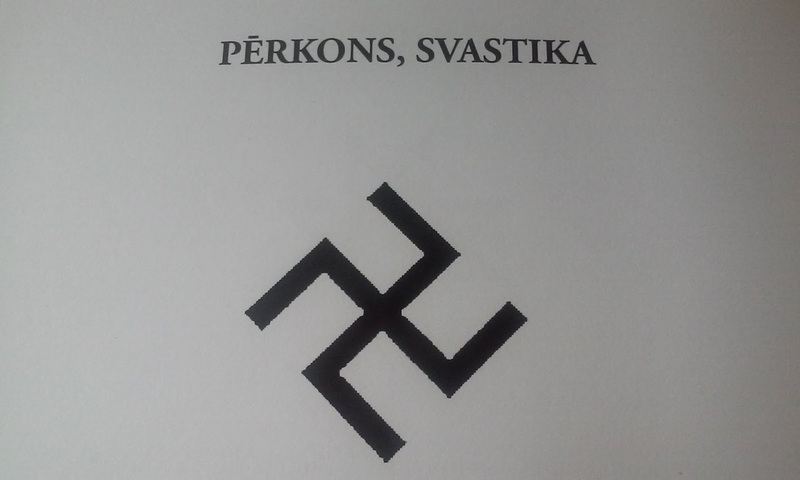 Also, it's a shame Svastika is now only linked to Hitler. -.-"
Thank you very much!! I was trying to find those meanings long time ago! Finally i got them! Lies paldies!